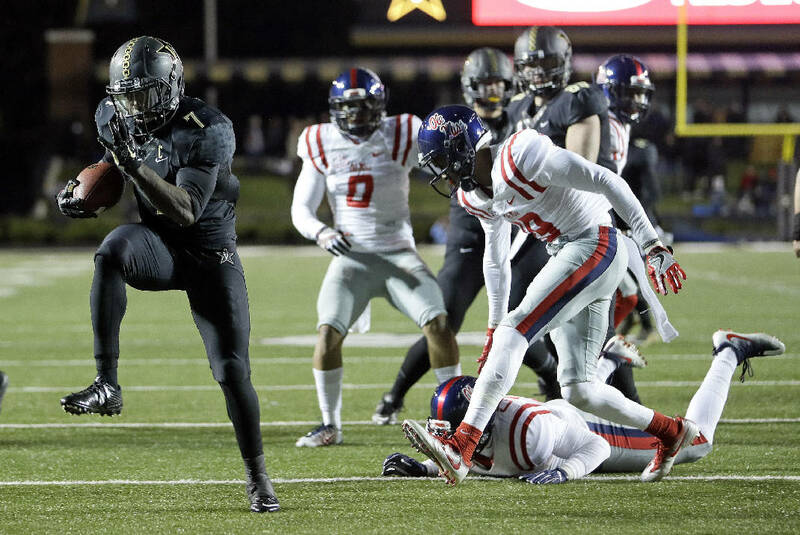 Vanderbilt running back Ralph Webb leaves Ole Miss defenders in his wake during an 11-yard touchdown run last November in Nashville. What more does Ralph Webb have to do? Webb is the most accomplished running back in Vanderbilt history, but he often remains overlooked in Southeastern Conference circles due to more recognized rushers such as Georgia's Nick Chubb, LSU's Derrius Guice, Auburn's Kamryn Pettway and Alabama's Bo Scarbrough. "Ralph Webb is probably the most underrated back in this conference," Commodores fourth-year coach Derek Mason said at SEC media days. "He's the back that nobody talks about, but all he does is perform. You put him on a stage, and he's going to be big. 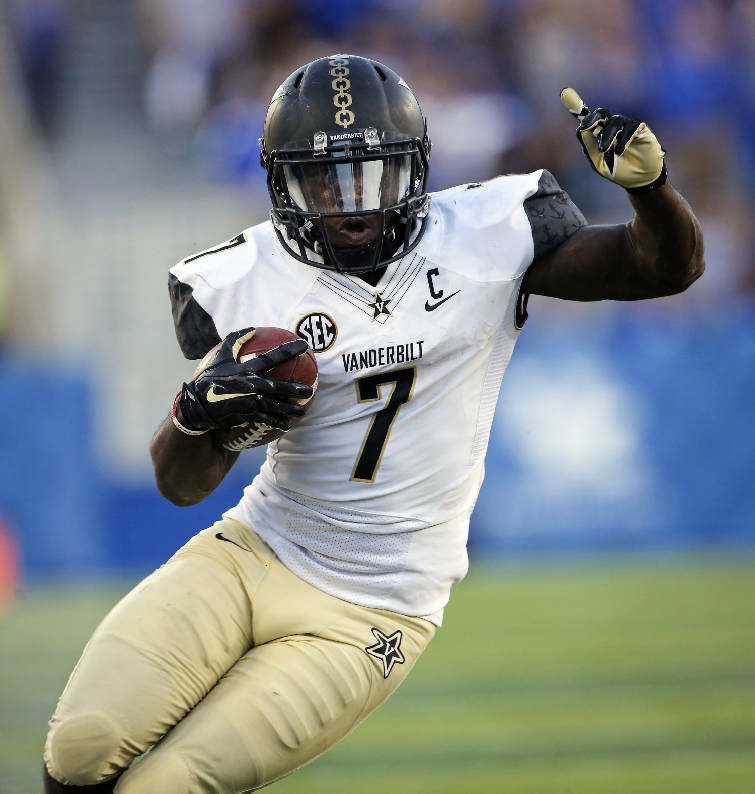 Vanderbilt running back Ralph Webb enters his senior season already the program's rushing leader for a single season (1,283 yards as a junior) and career (3,342 yards on 739 carries). Now he'll try to help the Commodores get over the .500 mark. › Fun fact: Vanderbilt has played in five bowl games the last nine seasons after playing in three bowls during its first 118 seasons. "He's never worried about the accolades, and from year one to year four, his game has progressed every year." Webb was a member of coach James Franklin's third and final Vanderbilt signing class in 2013 but redshirted that season. He set a Commodores freshman rushing record in 2014 with 907 yards and set the program's sophomore standard a year later with 1,152 yards. Despite being the obvious offensive threat for opposing defenses entering last season, Webb set the school's single-season rushing record with 1,283 yards. His individual efforts aided an impressive finish — Vanderbilt closed the regular season with double-digit wins over Ole Miss, 38-17, and Tennessee, 45-34 — that enabled the Commodores to reach the Independence Bowl. "We always believed in ourselves, and to see us come on hot in the end showed our potential and how good we can be when we're all on the same page," Webb said. "We can't wait to get to camp, polish up the details and get ready for the season. We are very excited. "I believe that this will be the most balanced that we've been, and that's going to be a major key for us." Vanderbilt returns 16 of 22 starters from last season's 6-7 team, including junior quarterback Kyle Shurmur and senior receivers C.J. Duncan and Trent Sherfield. Replacing tackle Will Holden and center Barrett Gouger, the former Baylor School standout, will be the chief challenges on offense. The obvious void on defense was created by the exit of linebacker Zach Cunningham, the first consensus All-American in program history, but Mason said senior Oren Burks will shift into Cunningham's role and Burks and senior cornerback Tre Herndon will be the unit's leaders. Herndon played at East Hamilton High School. Webb, a 5-foot-10, 202-pounder from Gainesville, Fla., considered skipping out on his senior season. "I just prayed about it and talked with my family and talked to the coaches to see what suited me and what put me in the best position," he said. "Coming back this year put me in the best position." Webb's college memories are plentiful already. He ripped off a 74-yard touchdown run against Florida in 2015, was carried off the field by teammates after last November's win over Tennessee and has been presented a football recognizing his career accomplishments. His desiring more good times in Nashville should resume in preseason camp, when he goes up against a defense coordinated by Mason. "I can't wait until we get our first explosive play on them," Webb said, breaking into a smile. "I'll go over there and talk trash to him. It's all fun, going out there and competing, and we just need to make sure that we're always competing with each other." Webb has 3,342 career rushing yards, a total that ranks 20th in SEC history. Should he match last season's output, he would finish second in conference annals behind legendary Georgia running back Herschel Walker. Mason is simply happy to have him back, realizing Webb means much more than the statistics he compiles. "He's had a chance to study abroad," Mason said. "He's had a chance to impact the Nashville community, and that's what I'm talking about. He is a pure Vanderbilt man at his best, and the best part of Ralph Webb is to come. I look forward to see what he does in 2017, because the focus can't be on just Ralph. "He has a complementary back (junior Khari Blasingame). He's got receivers and tight ends who hopefully will take the pressure off the box, so I look forward to seeing what he does in 2017."